I need more practice for this style of drawing, I was even using a pencil to sketch out the proportions first. 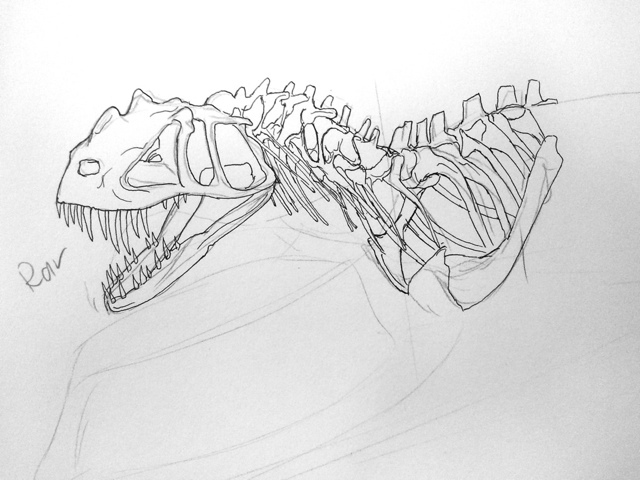 This entry was posted in Quick Desksketch and tagged ceratosaurus, Dinosaur, theropod by Anthony. Bookmark the permalink.